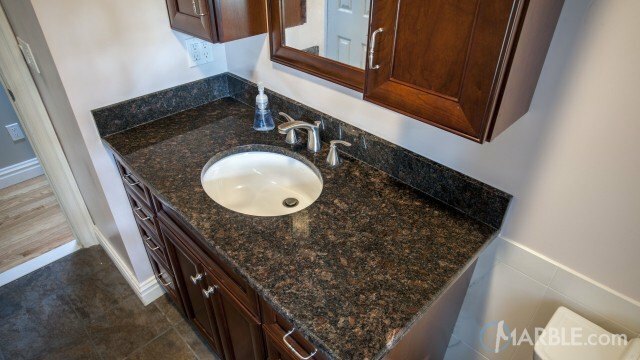 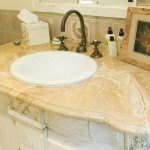 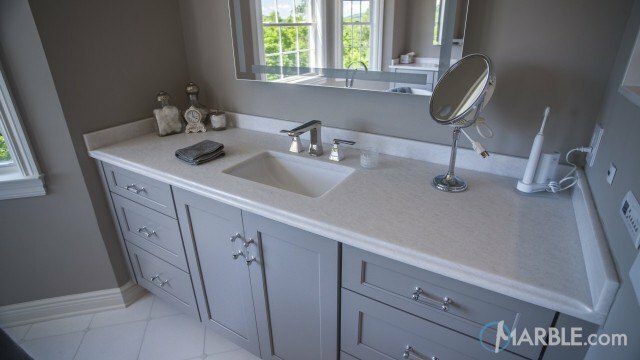 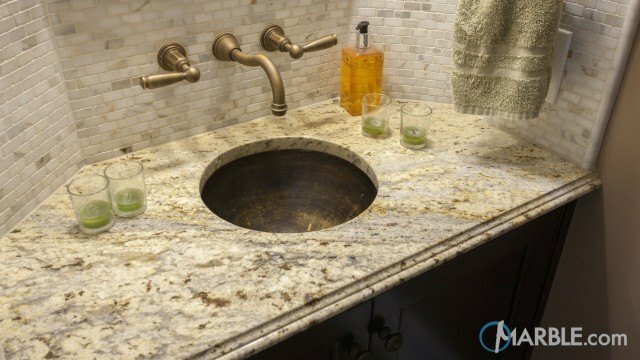 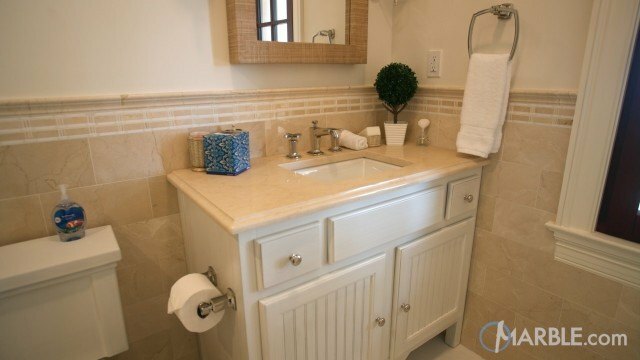 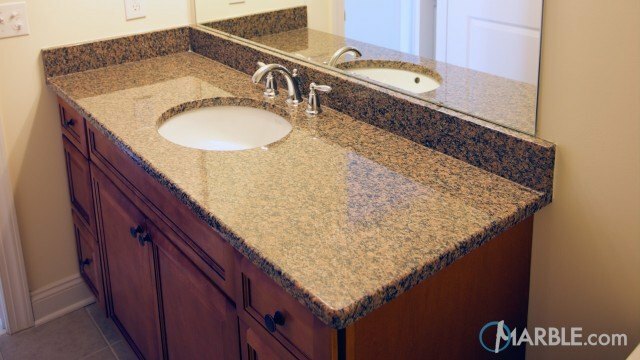 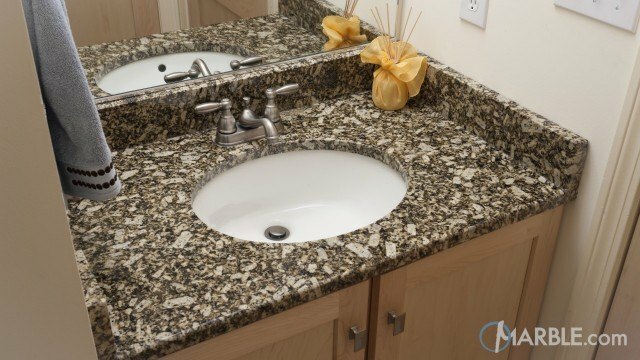 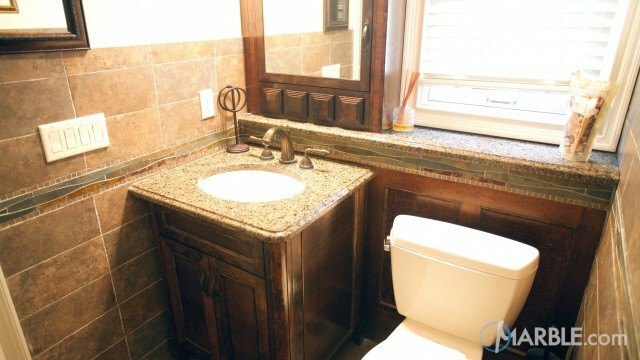 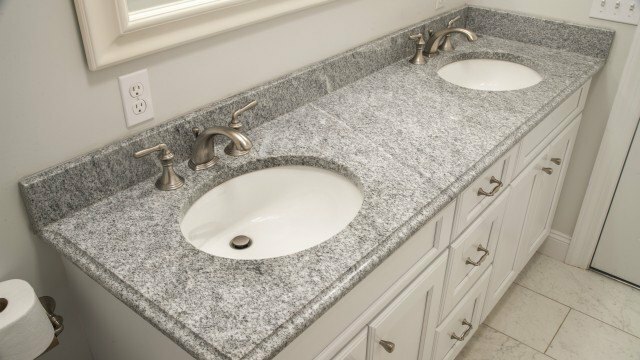 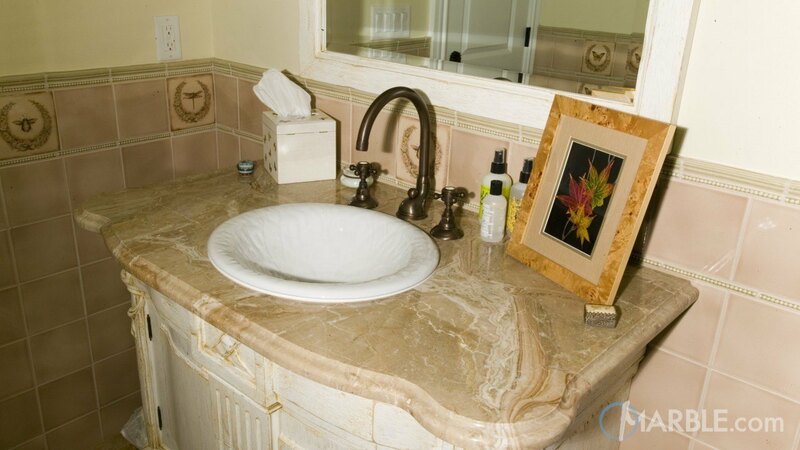 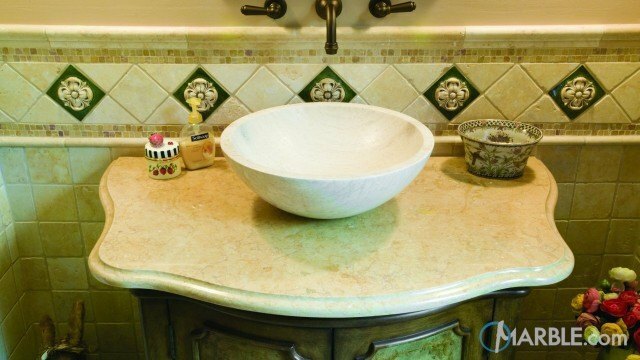 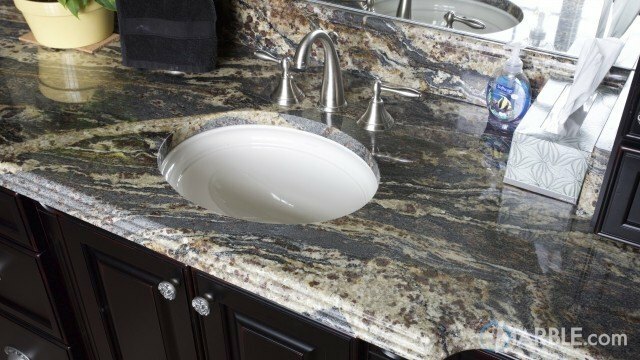 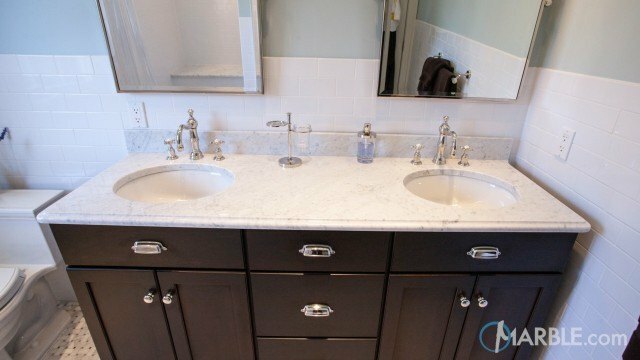 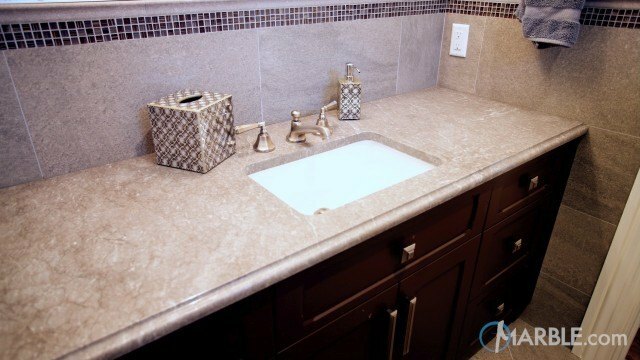 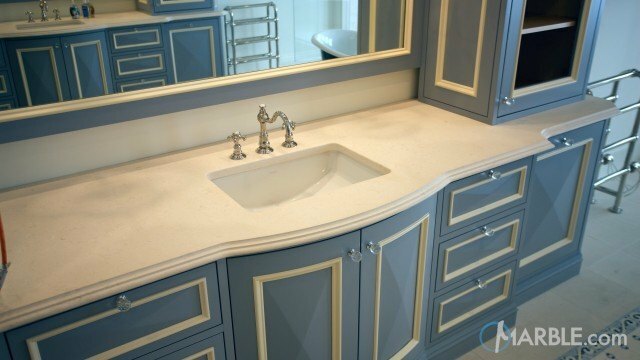 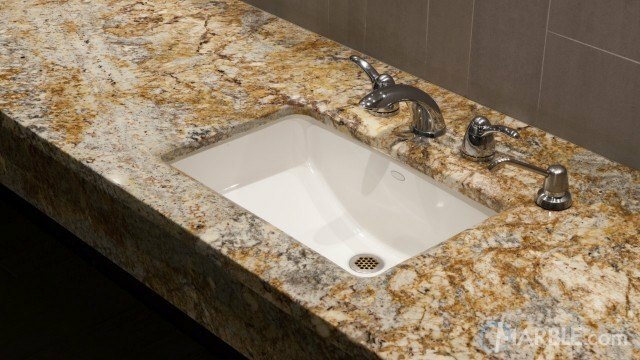 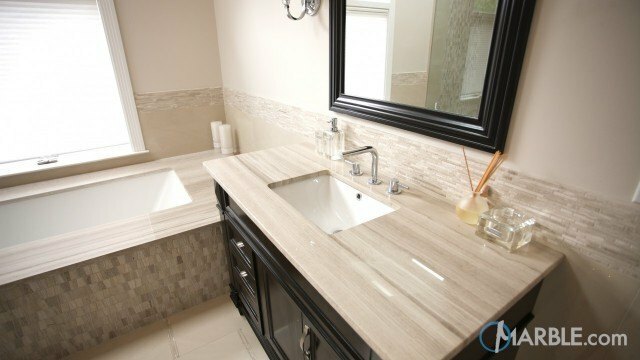 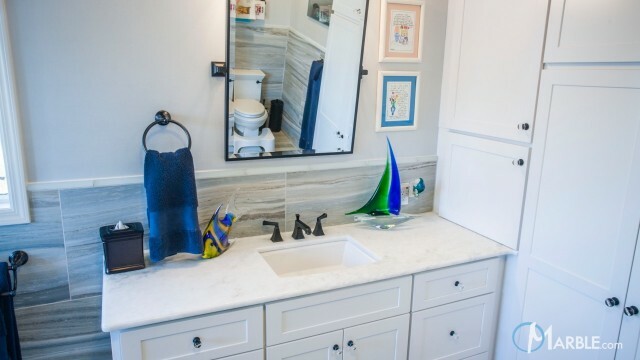 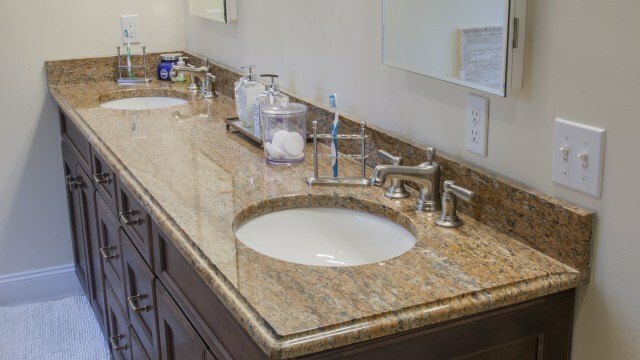 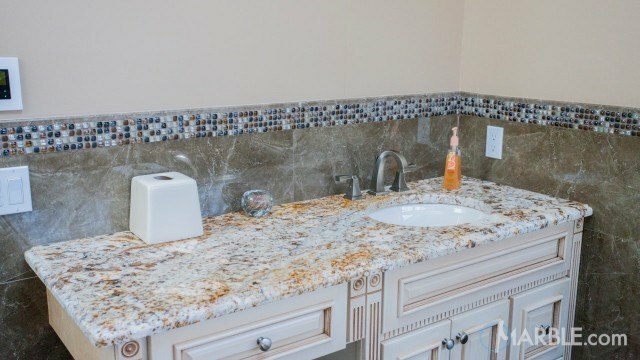 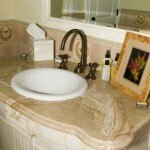 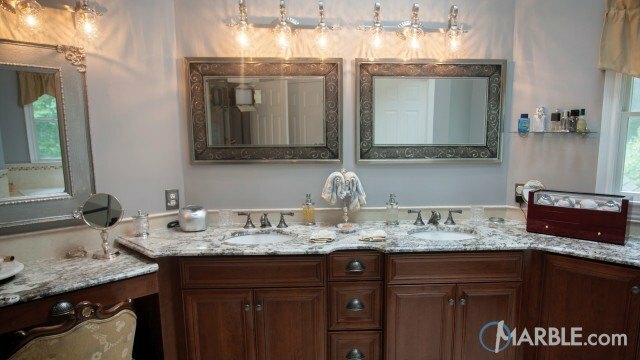 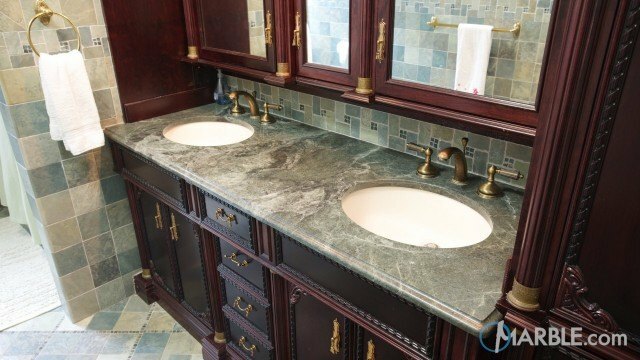 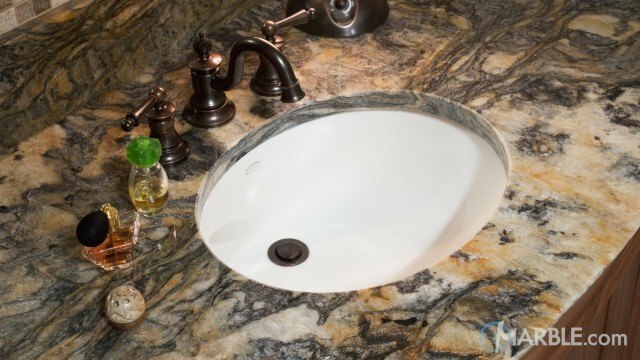 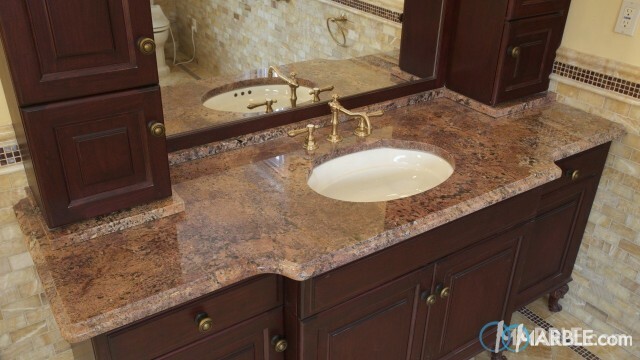 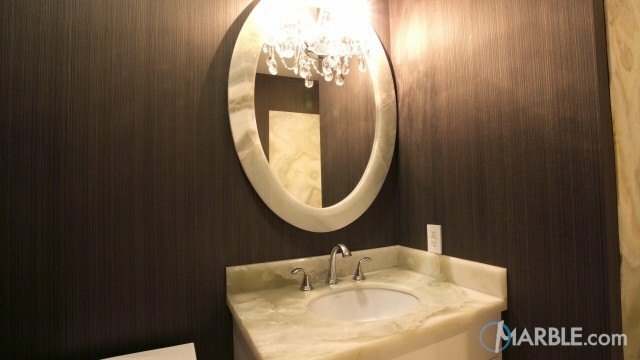 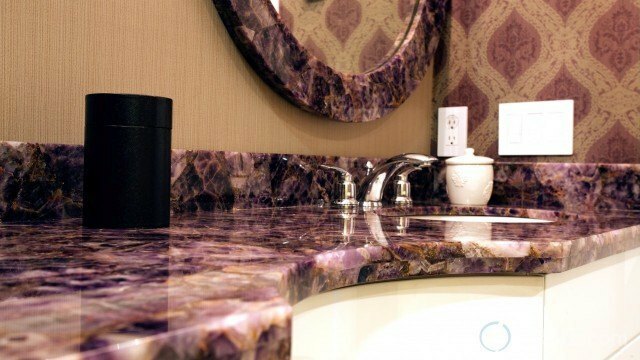 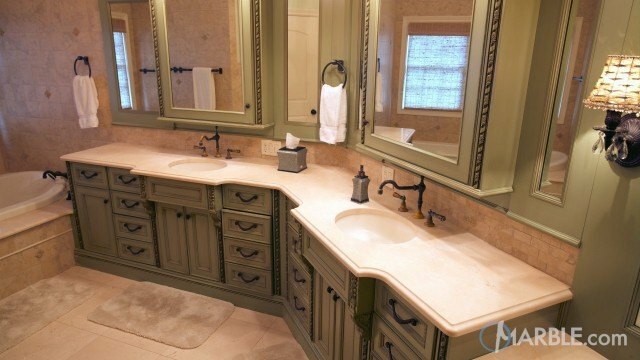 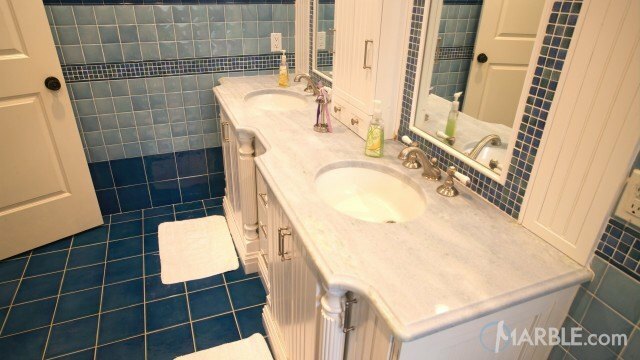 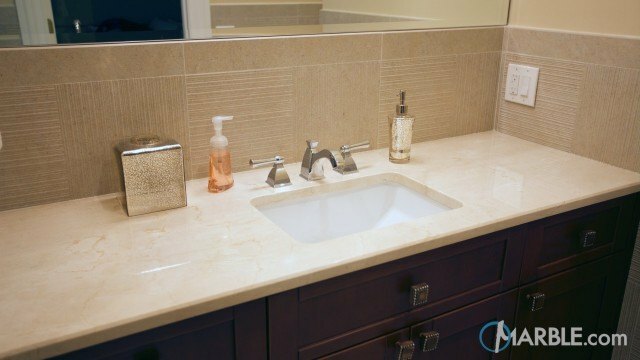 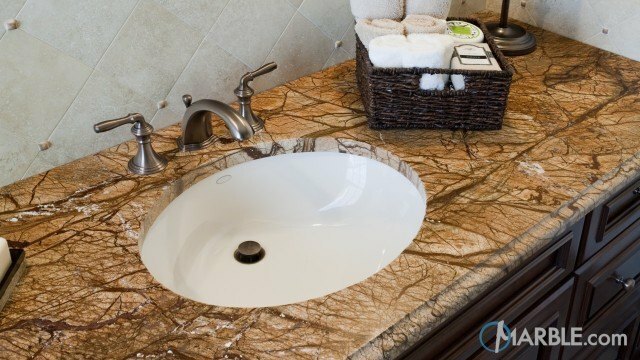 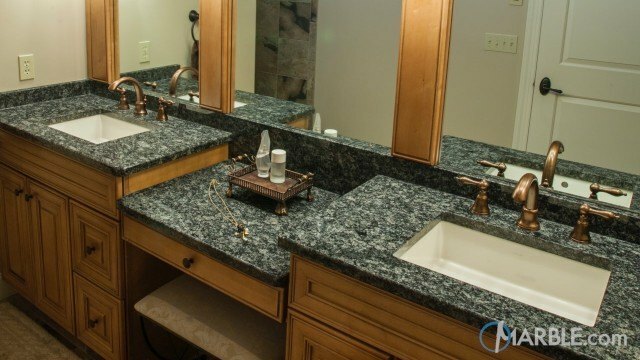 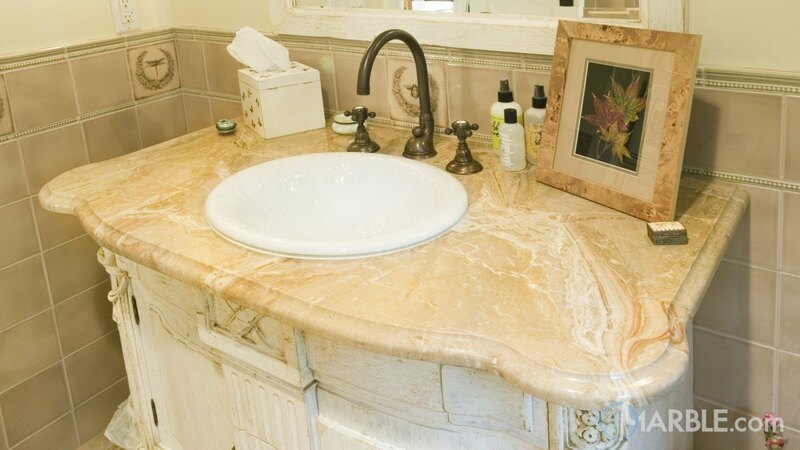 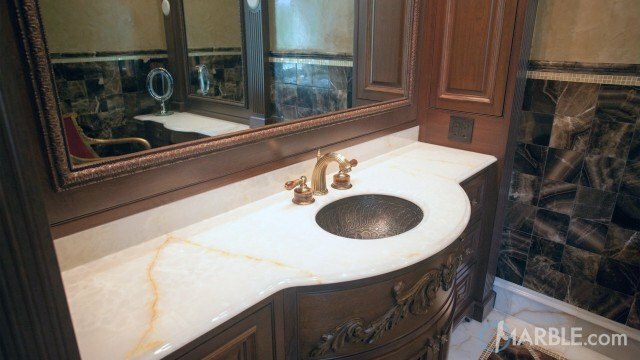 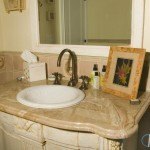 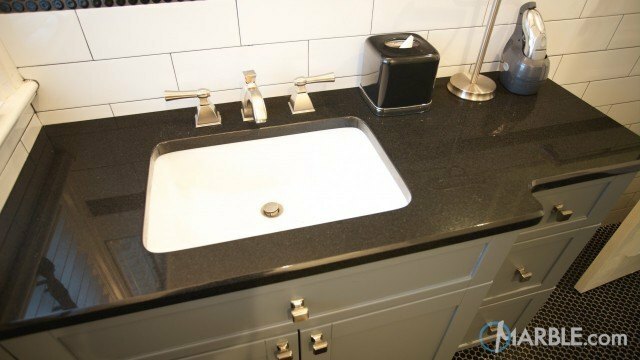 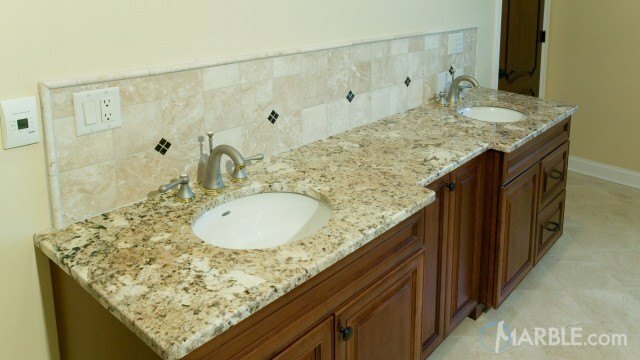 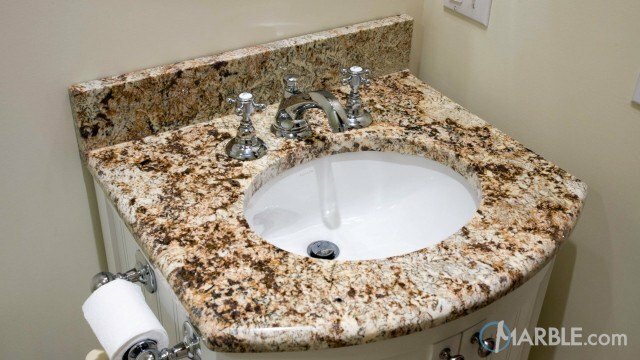 This elegant bathroom vanity features Breccia Oniciata marble with an Ogee Edge. 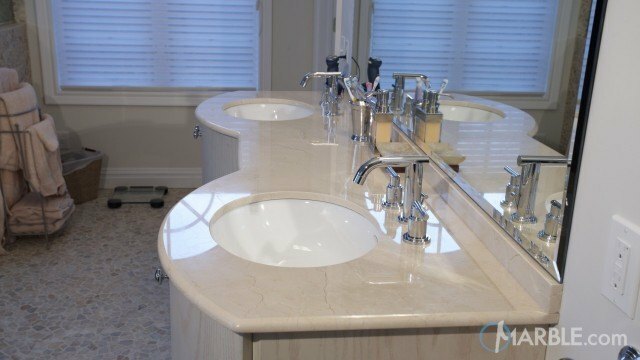 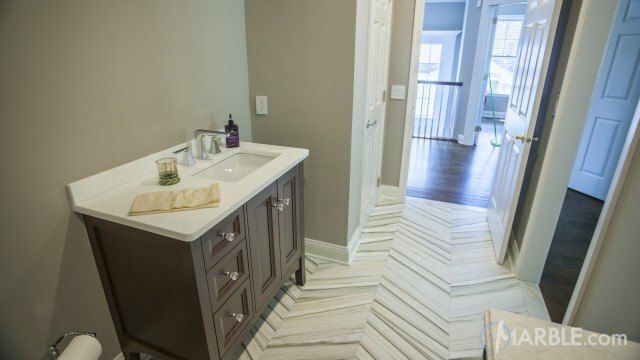 The beige and white veins flow through the marble to create a smooth look, perfect for a bathroom. 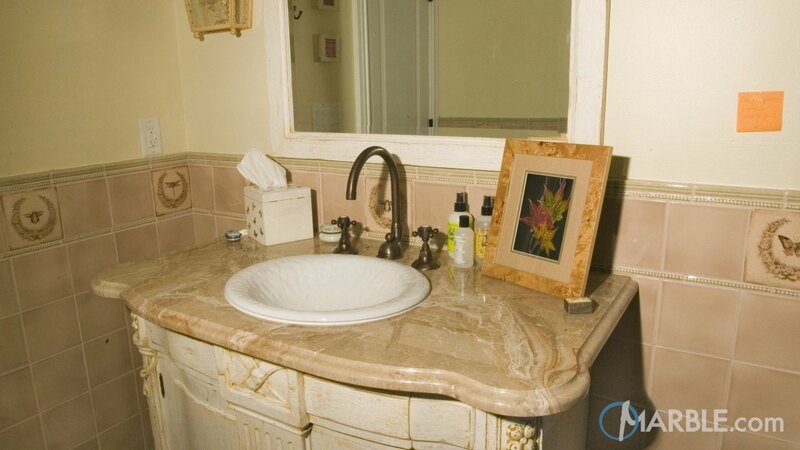 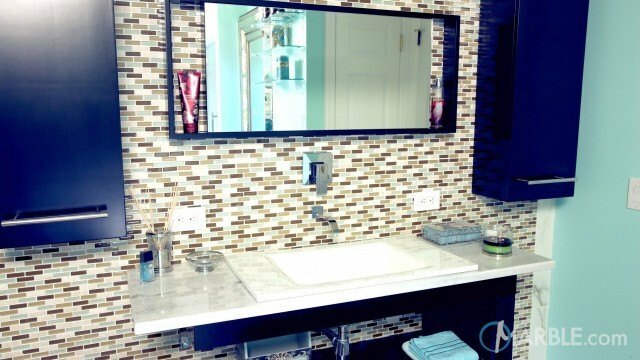 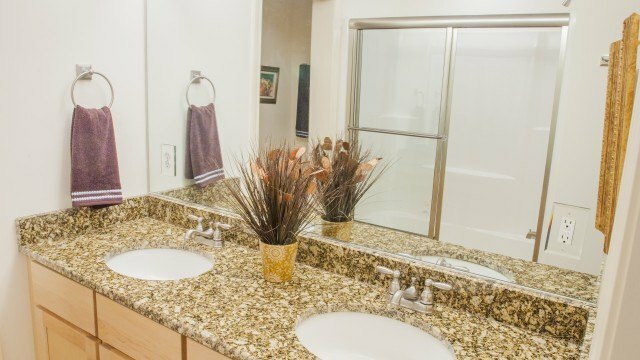 Pink tiles on the wall, a large mirror above the sink and the distressed-look cabinet below add depth and dimension to the look.